While wondering around the secret chambers of the castle on her seventh birthday, Princess Barbara (Ani Lorak) finds a magic book, which transports her to wonderland. In this world full of dragons, colourful creatures and gnomes, Barbara sets off on an exciting adventure to find ... read full description below. While wondering around the secret chambers of the castle on her seventh birthday, Princess Barbara (Ani Lorak) finds a magic book, which transports her to wonderland. 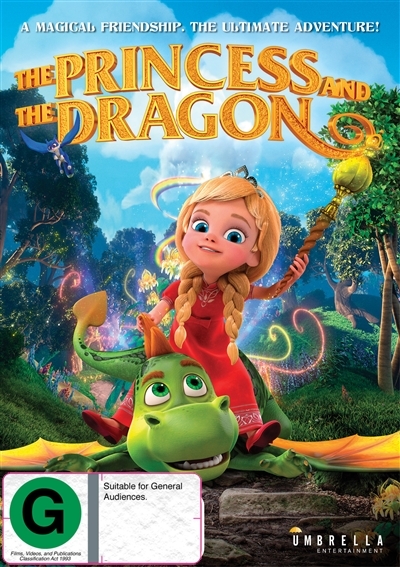 In this world full of dragons, colourful creatures and gnomes, Barbara sets off on an exciting adventure to find a mirror in her castle that can connect her with her mother, who left her and King Alister when she wasjust a baby. She returns home with her best friends, the dragon Dragosha (Sergy Smirnov), and finds out that the mirror was hidden by King Alistair's evil advisor. Together, Barbara and Dragosha set off on a finaladventure to find the magic mirror, reconnect with her lost mother and banish the evil advisor.